If you’re not familiar with the brand, Nejma (which means the good star or lucky star) was created by Marie Lise Bischoff. During a journey to the Far East, Bischoff attended a reading of an Oriental fairy tale and fell under the spell of Nejma, who would then become her muse and inspire her to create a new line of perfumes. Nejma is a charming and radiant with amazing beauty, and one day The Vizire visits her city and they totally fell in love. But she isn’t a Princess, so after a lot of fights between both families, they finally get married. 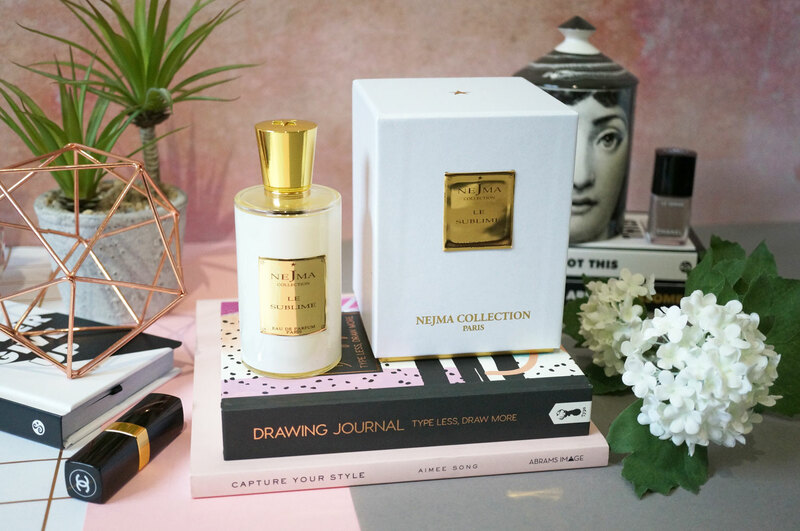 From their love story, seven girls were born, and this is the story of how the original seven Nejma fragrances were created; a mix of different spices that each have in common the precious and warm scent of Aoud, giving Nejma its signature charm. 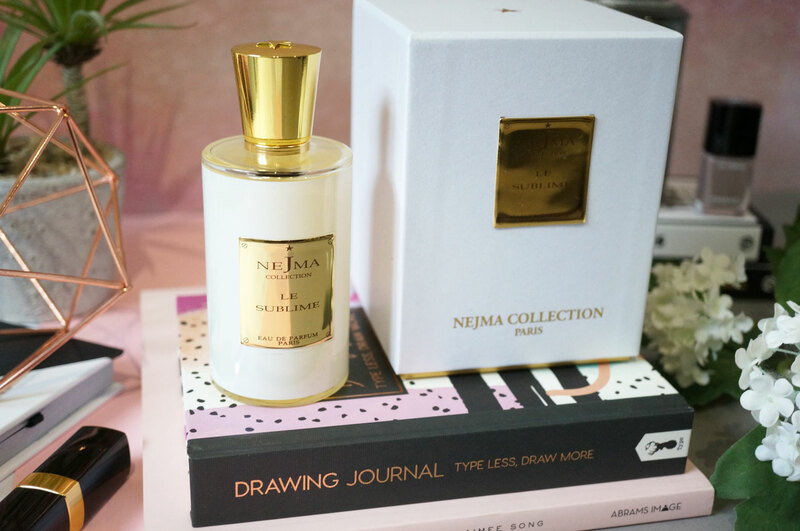 I have Le Sublime from the Nejma Private Collection – Le Sublime is a beautifully delicate fragrance, with a comforting, warming aroma that feels like a close embrace with a loved one. I think this is just the perfect scent to wear this time of year, it’s sweet and feminine, but not overly so, and lingers on the skin for hours. Le Sublime opens with notes of fresh, juicy fruits, including Bergamot, Grapefruit and Passionfruit, leading to a bouquet of precious flowers – Orange Blossom, Jasmine and Rose blend together beautifully to give this scent a soft floral heart. The base of sweet Brown Sugar, Caramel and Dark Chocolate mixed with woody Patchouli and Cedar round the scent off in a warming and sophisticated trail. Top Notes : Yellow Mandarin Bergamot, Pink Grapefruit and Passion Fruit. Heart Notes : Orange Blossom Absolute, Grandiflorum Jasmine, Damascena Rose and Magnolia. Base Notes : Virginia Cedar, Brown Sugar, Patchouli and Dark Chocolate. 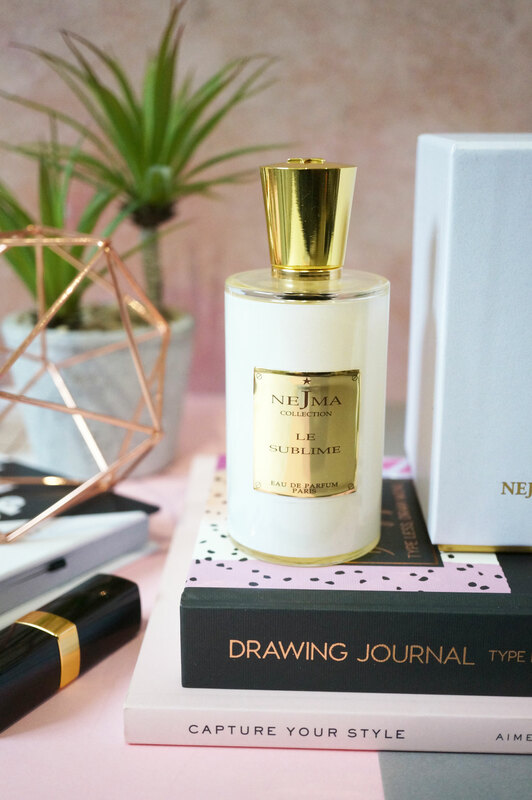 Nejma Le Sublime is available now now at Harvey Nichols and Harvey Nichols.